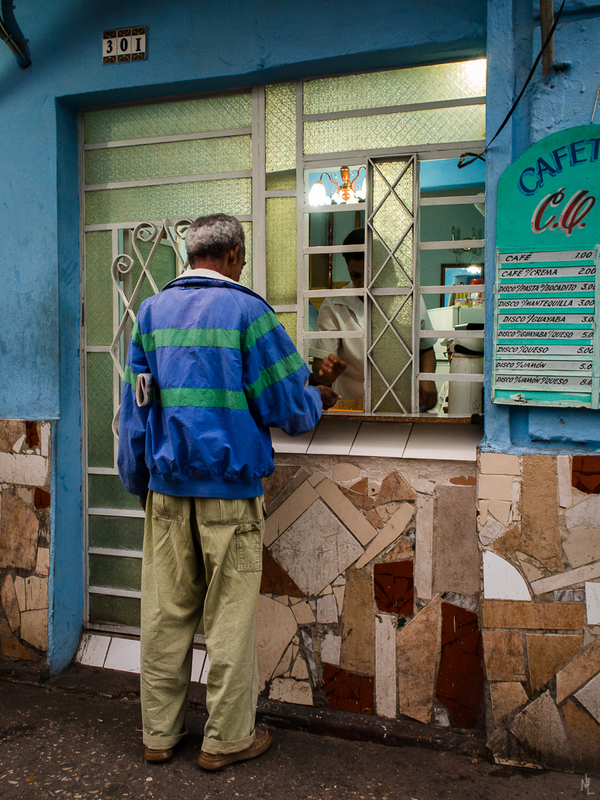 Each day in Havana we awoke at 6:15 to get a glimpse of the city waking up. On the first morning, we explored the colorful neighborhood just to the north and east of the Parque Central Hotel as outlined by the Prado (Paseo de Marti), San Lazaro (which parallels the Malecón), and Neptuno street. School children, in their gold pants and skirts, were walking to class. Workers were stoping at the small Cafeteria’s setup from private houses to get coffee and roll. A few cars were on the streets, but generally people walked. By the time we reached this busy corner, the sky was starting to lighten, but there was still the feeling of dawn light. 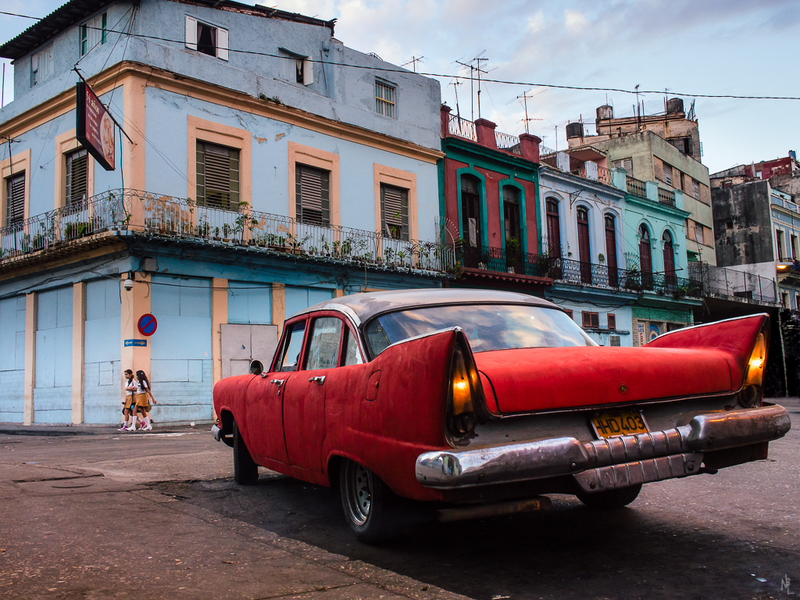 The big American pre–1959 cars are ubiquitous in Havana. They seemed to make up about 50% of all the cars I noticed in Havana. Sometimes they are beautifully kept with bright shiny wax jobs, and other times they look like they are held together with wire and house paint. There are a smaller number of Soviet-era Ladas on the road which must have been the primary import until the break up of the U.S.S.R. in 1991. And finally, a small percentage of new Korean Hyundais are seen. The best kept of the American cars are private Taxi’s catering to the tourist trade. 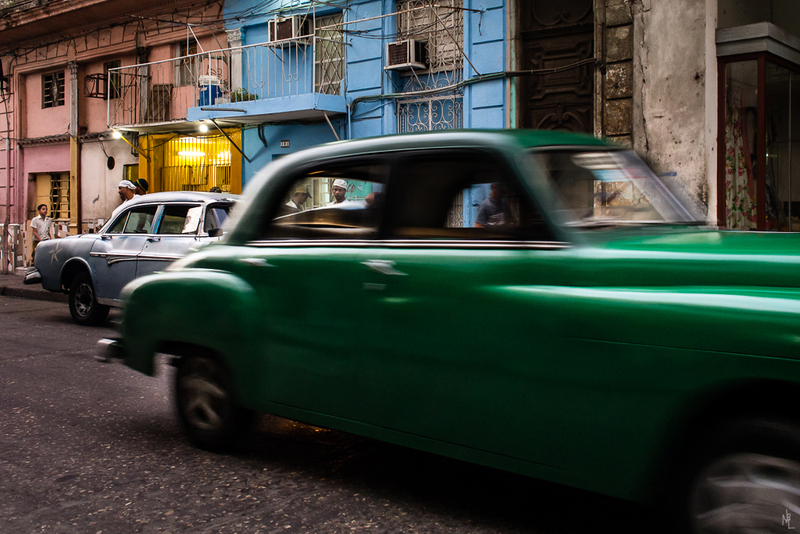 There are only a few intersections with traffic lights within the neighborhoods of Havana and, outside of the Paseo de Marti which runs down each side of the Prado into Havana Central, there seems to be little need. 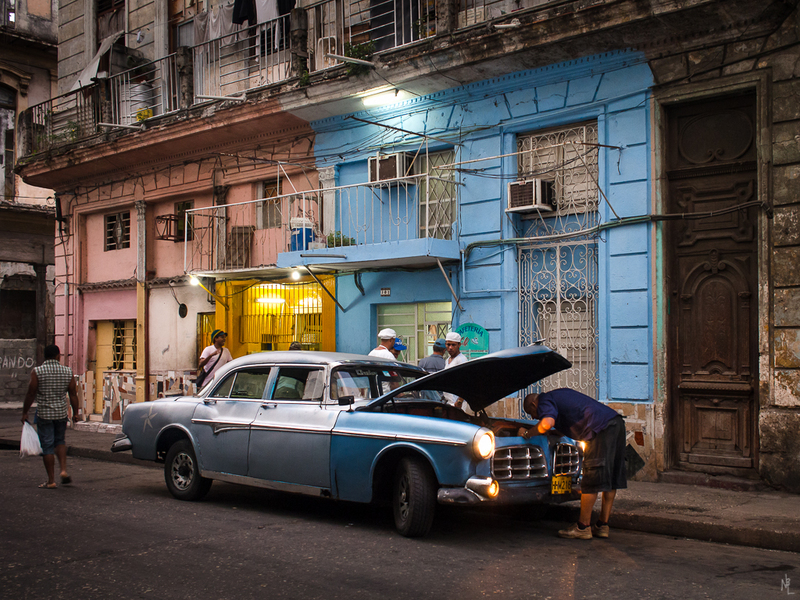 Each morning in Havana, Kip Brundage from the SanteFe Workshop team, would lead a group on dawn patrol. 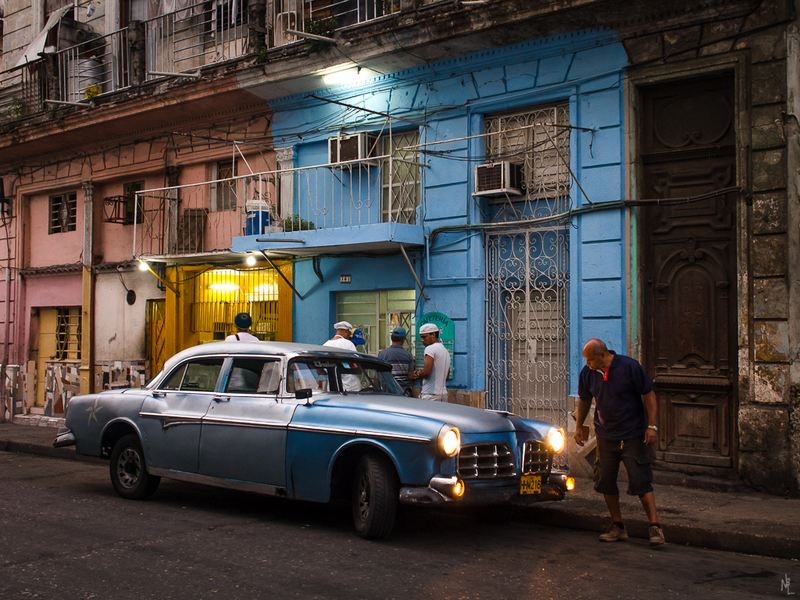 At 6:15am, Kip would provide a dawn tour of an area in Central Havana so that by the time the light was up, we had our bearings and could use the morning light to make some photographs. On the first Dawn Patrol, Kip lead us down the Prado and into a neighborhood situated north-west of the hotel. One particular street had two competing Cafeterias, private residences serving coffee and pastries out their front windows, which attracted a lot of action and attention. I stayed for about 10 minutes to catch several different daily life scenes play out. I was initially attracted to this scene because of the blue car, lights on, and obvious concern by the driver. It is very common to see drivers out of their cars rummaging under the hood or in their trunks. I took this image as the car began to drive off, it shows the full context of the scene. 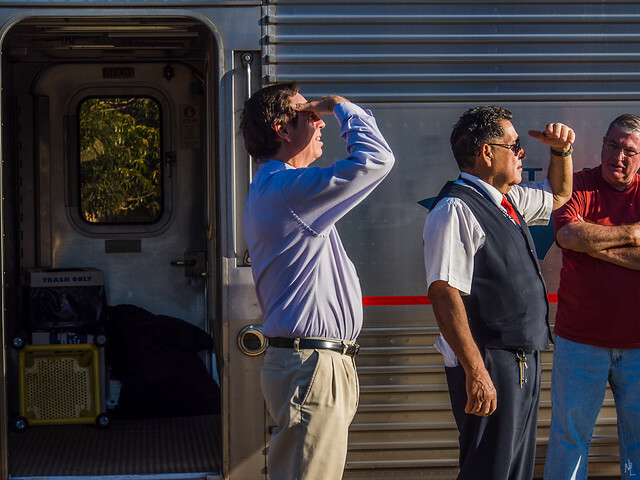 Footnote: Thank you to Glenn Primm, a long-time LA Photojournalist, who has been following my posts. He pointed out to me that my edit, while technically OK, didn’t convey the mood of the shots. He suggested that I bring down the exposure to match the morning scene. These are new edits as of Sunday morning. Q: How do you get to Carnegie Hall? I will be soon going my first travel photography workshop. 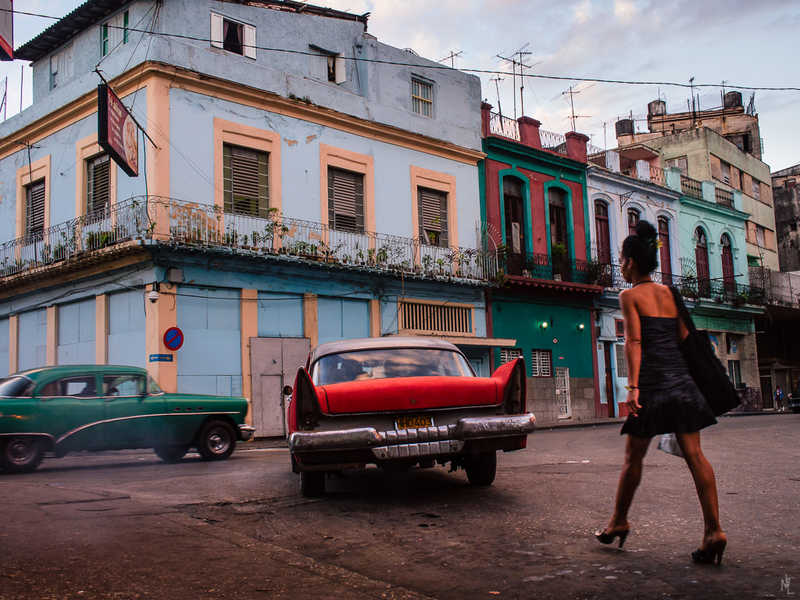 I am joining Eddie Soloway and the Sante Fe Photographic Workshops on an 8 day trip to Cuba visiting the cities of Havana, Trinidad, and Cinfuegos. 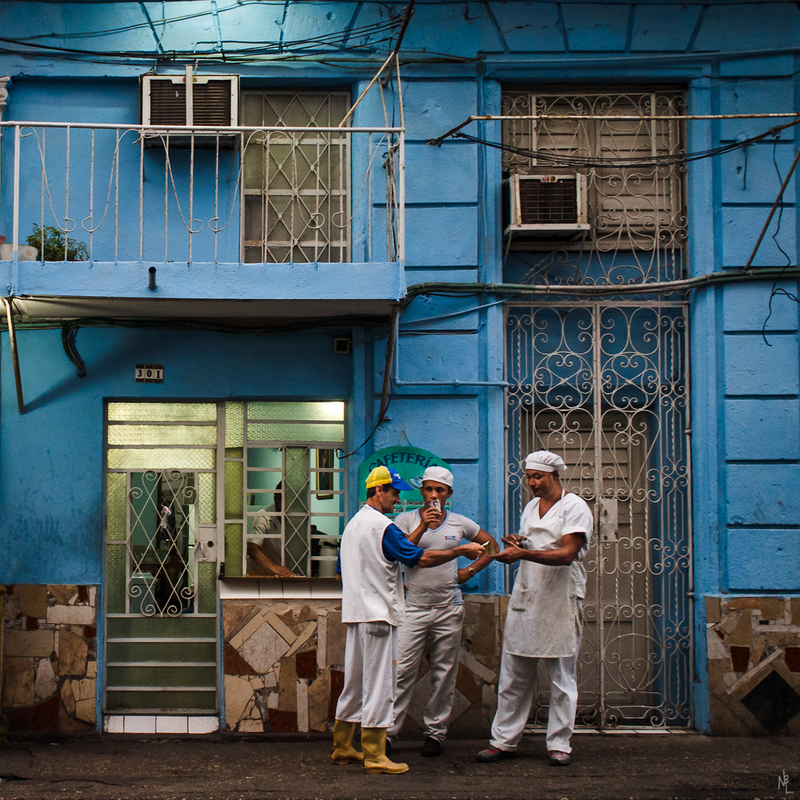 Sometime in early 2012, I set my sights on photographing in Cuba in 2013. I don’t know exactly why I picked Cuba, but my life is filled with examples that follow the same basic pattern. I get and idea of doing something and just decide to do it. At the time of my decision often have little understanding of what it will take to get there or even what it will be like when I arrive. I just know it is the right thing for me to do and I set out single-mindedly to achieve the objective. The pattern includes both a long-term vision (I want to be a classical oboist) and lots of little short term activities (I need to master the Strauss Oboe Concerto, I need to study with the 1st oboists of the major US symphony orchestras). So it was with this trip to Cuba. I announced to my friends: “I’m going to Cuba in 2013, who wants to come along?” I did not wait for answers, I just started my planning and preparation. 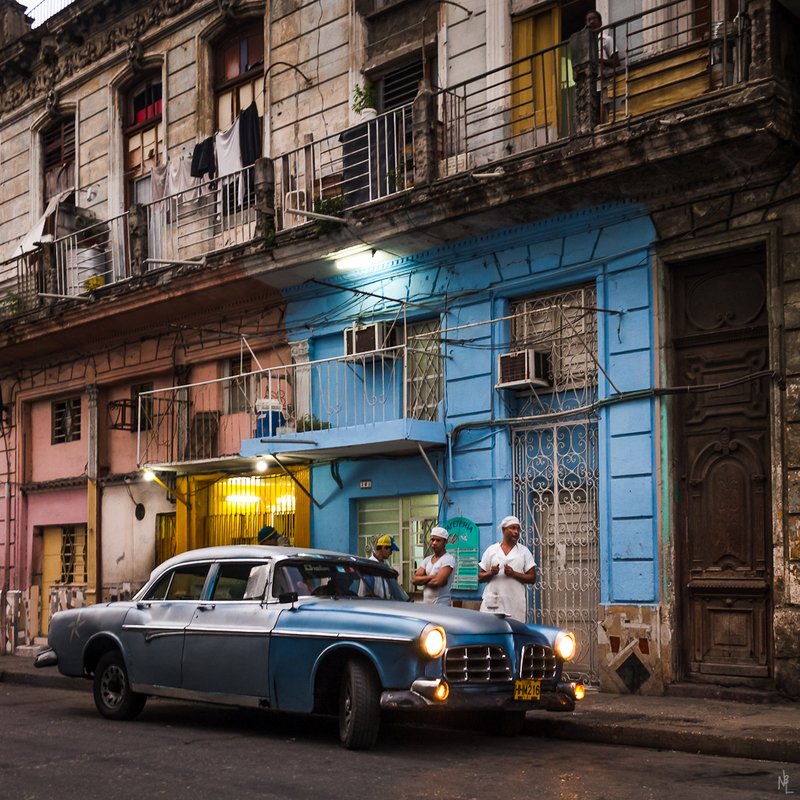 My preparation for the trip has included finding the right trip, studying Spanish, reading about Cuba and its history, studying other’s photos of Cuba, studying with master photographers to find myself, and practicing my particular brand of street and social documentary photography. 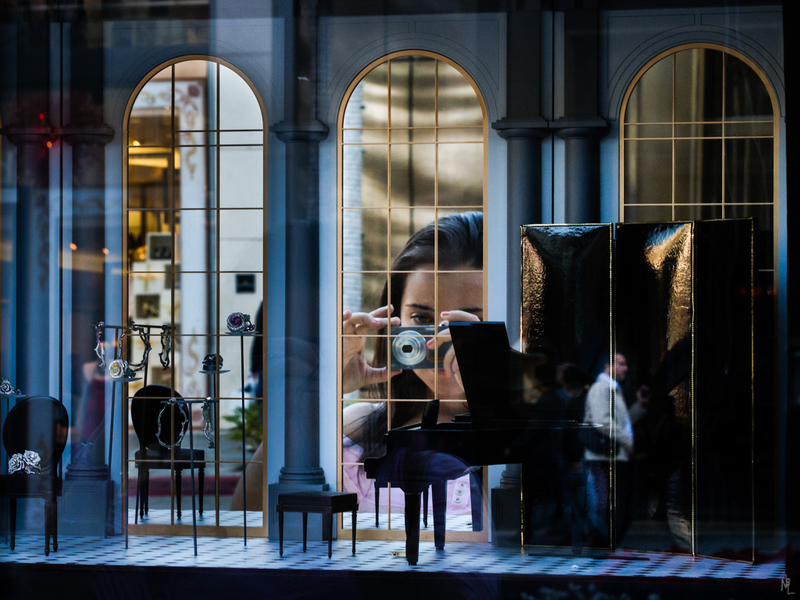 The last part included shooting exclusively with the Olympus OM-D E-M5, memorizing as much as I can about where the settings are located (I’m really bad at memorizing details), and doing as much street photography as my schedule allows. Over the past several months, when I went out shooting, would say to myself: If you were in Cuba today shooting, what would you come home with. And I would evaluate my results and experience by asking myself several questions that run the gamut of exploring my craft, my vision, and my inner strength. Did I capture the mood? Did fear keep me from taking a picture of spending the time required at a venue to get the right shot? Did I keep and open mind and try new things? Was I conscious and intentional with my camera settings? Did I have any issues with efficiently using my camera? This approach is completely parallel to the lessons I learned when I studied music. Be unconsciously conscious about the state of everything while you are playing – It needs to be second nature that for every shot you know what your aperture, shutter speed, ISO, focal length, and white balance are. Each time I went out I produced more good work and became more comfortable with my approach to photography and the OM-D system. I will be bringing 2 Olympus OM-D E-M5 camera bodies, 5 fast prime lenses and one zoom (as a backup). I’ll also be bringing my Induro CT114 tripod with Acratech bullhead. I’ve prepared and run my dress rehearsals. I’ve concentrated on prime lenses so that I am super conscious of composition and framing. I’ll be warming up with a couple of days in Miami before the trip and the concert starts on January 29th. Not all gestures are created equal. There are a lot of pictures with pointless gesture. The gesture must tell the story. Compare this image with the image at the top of the post. This image has a pointless gesture. The story is weak. The man is walking and pointing at the photographer. Where is the mystery? The gesture in the image at the top of this post is subtle but the story is stronger. You see the slight lean on his right leg and umbrella, a gaze out side the frame, a slight curl to the lips or raise in the eyebrows. What is he looking for? What is he looking at? The lean provides some anticipation. As a side note, the background and lighting are also stronger in the top post. Look at the rim lighting on the edge of his leather coat, the water one the floor, the detailed repeating pattern of the stairs. Here is another gesture, the universal sign for figuring out what time it is. Is he late? Is he waiting for someone? 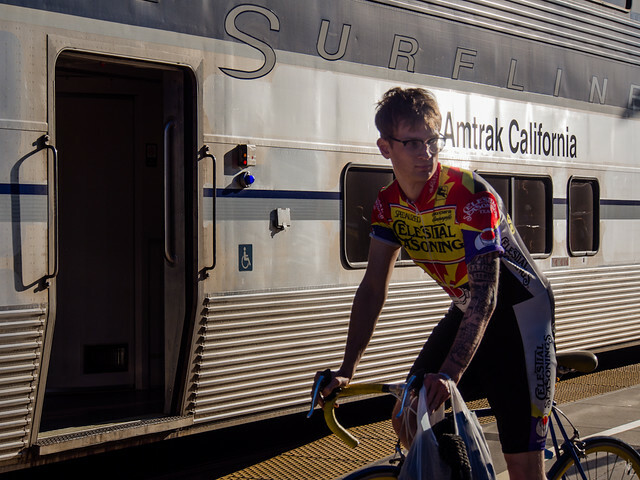 The context of the train station adds to the story. Street photography is fickle. You never know when you are going find that next image. Most often, however, when I get something good I recognize it in the field. The image, or series of images, sticks in my mind. 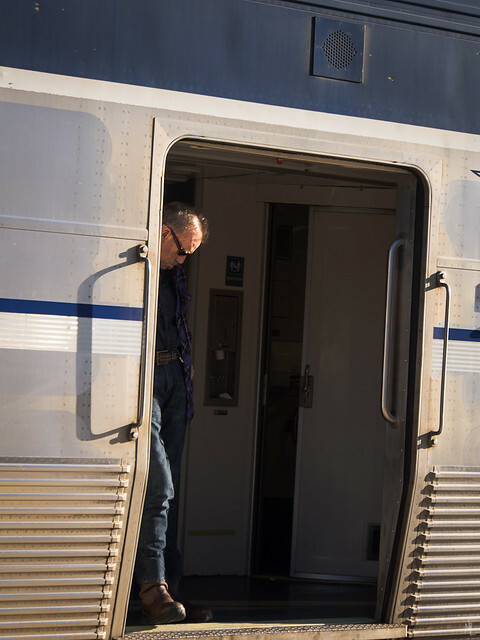 I hear Jay Maisel asking, speaking in his soft curious voice, “did you know you got something good when you took this?”. And usually the answer is Yes. But sometimes I am surprised. Sometimes I find my nuggets where I least expect them – in images that I hardly remember taking, in images that registered “nothing special” or “that was a good try”. This was my mind-narrative behind this image. Attracted by the mirrors and clear design of the display, I was working some silly self portraits. After giving up in my own portrait, a girl walked up next to me and starting taking her pictures. I stepped to the side and took 3 images including the girls shoulder and back of the camera. Nothing stood out in my mind and I quickly moved on. What had happened in the field is that I had left too much in the frame. I wasn’t able to focus on distillation of the images impact in real-time. My surprise in finding this hidden image tells me what I need to work on. I’ve been buying a lot of photo books lately. Not how to or technical, but monographs of street photographers and photojournalists. I’ve been waiting for a copy of Suffering of Light to show up for weeks. My first order was finally canceled when Amazon determined that the book would not ship (and is probably now out of print). However, I was able to get a “new” used copy at a reasonable price and it finally arrived today. I am a big fan of this style of complex, colorful, but well organized photography. Nothing easy to understand here, instead they are complex poems of life. This is what I am trying to achieve. As I write this post, I think “how do I dare post my images against Alex Webb”. I think these are good for now, but I still have thousands of images to go. 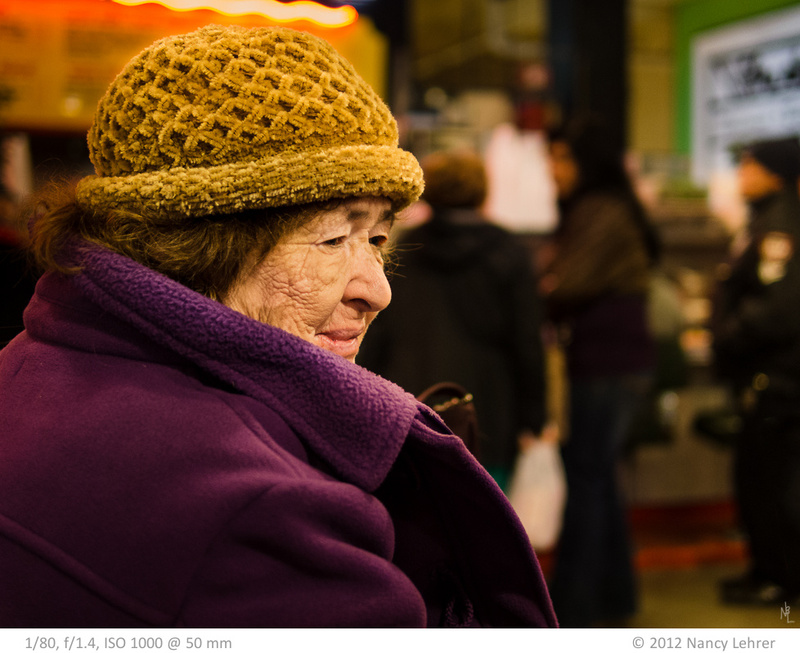 After I walked past this woman with my husband and showed him the LCD screen he said: “I knew you were going to take her photo”. Am I getting too predictable? Get articles and information on upcoming lectures and workshops. Here are the next set of blog articles being planned. Tell me what you want to hear more about in the comments.